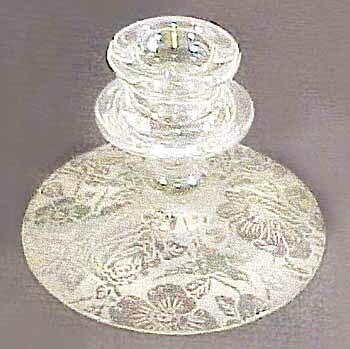 This white Brocaded Summer Gardens candle holder (above left) shows the pattern quite well. It was made from Fostoria's #2372 candle holder. 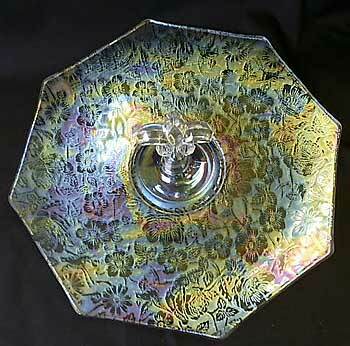 This handled sandwich tray (above right) in white sold for $45 at the 2012 Keystone Carnival Glass Club auction. Photo courtesy of Jim Wroda Auctions.